The birthday card that Caroline made is designed to look like a cake. When you open it, there is beautiful embroidery on one side and a really nice letter to Jackie on the other. Here's a close-up of the top. 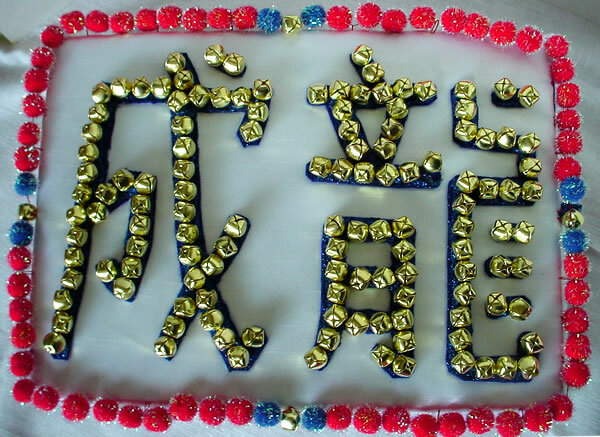 The jingle bells spell out Jackie's Chinese name. 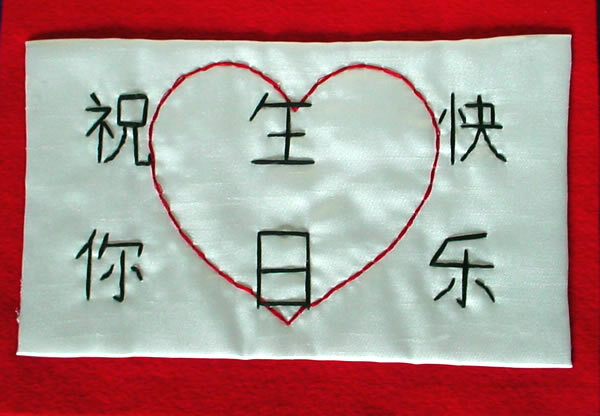 This is the beautiful embroidery on the inside.